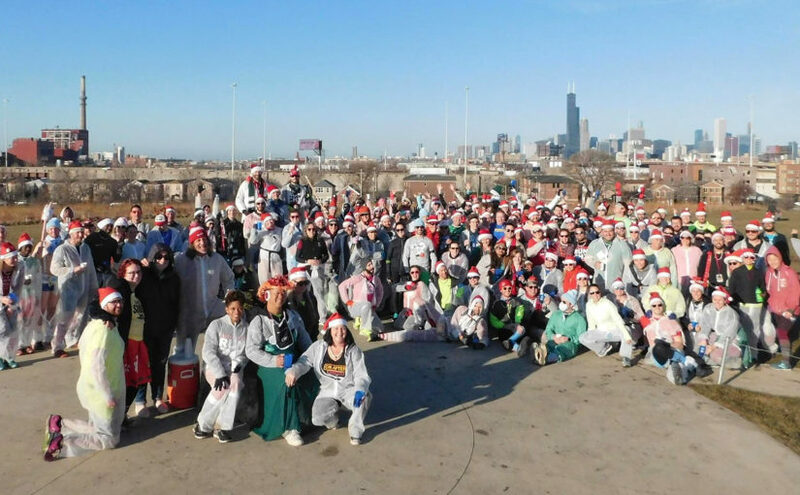 Welcome to ChicagoHash.com, home of the Chicago Hash House Harriers. Here you will find everything you need to take part in the Chicago chapter of the world’s largest “drinking club with a running problem.” We meet every week of the year to run a 3 to 5 mile trail through the great city of Chicago’s streets, alleys, parks, and forest preserves. Afterwards we conduct an entertaining ceremony known as “the circle” where we enjoy cold beer and some good laughs. We’re a very social group. Our members come from all walks of life, all age groups (21+) and all abilities of running from slow to fast. Our one and only goal is to have fun! Look below for details on our upcoming runs or click on the links to the left to discover all kinds of info — past, present and future — about the Chicago Hash.